Octavia E. Butler (1947–2006) was a renowned African-American author who was awarded a MacArthur “Genius” Grant and PEN West Lifetime Achievement Award for her body of work. Since her death, sales of her books have increased enormously as the issues she addressed in her Afro-Futuristic, feminist novels and short fiction have only become more relevant. 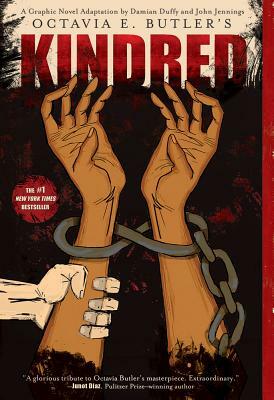 John Jennings, illustrator of Kindred: A Graphic Novel Adaptation, is a professor of media and cultural studies at the University of California at Riverside. Damian Duffy, author of Kindred: A Graphic Novel Adaptation, is a cartoonist, scholar, writer, and teacher. He holds a MS and PhD in library and information sciences from the University of Illinois at Urbana- Champaign, where he is on faculty.